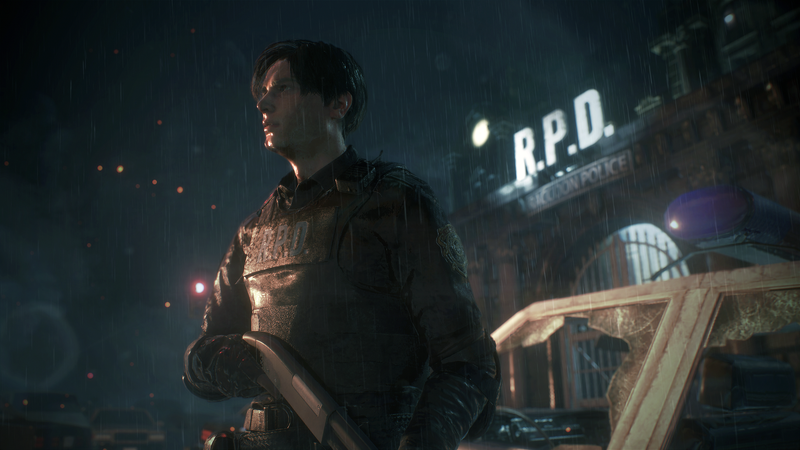 The hype continues to build for the Resident Evil 2 remake release in early 2019. To escalate the excitement further, Capcom has been sharing comparison screenshots. Only a few have surfaced so far, but the gesture is no less gratifying. The difference between 1998 visuals and those from the 2019 release are absolutely astounding. One of the recent screenshots Capcom shared comes from Resident Evil’s official Twitter page. On the left sits an image of the Kendo Gun Shop as it was depicted in the 1998 release of Resident Evil 2. On the right, of course, is a similar screenshot with far superior visual fidelity. Another recently shared image shows off Ada Wong’s transformation. Naturally, the updated visuals ensure the character looks better than ever. Yet, there’s something to be said for how well Ada wears that trench coat. In this regard, her character’s improvements go above and beyond just technological advancements. The overall redesign is incredibly impressive, too. 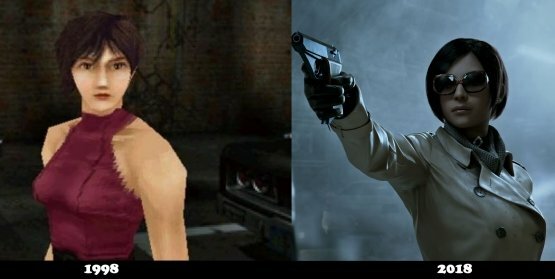 The final comparison shot features Claire Redfield as she escorts Sherry Birkin through Raccoon City’s police department. During gamescom 2018, Capcom released gameplay footage of this section in Resident Evil 2. However, seeing the 1998 and 2018 versions side by side in a still image perfectly encapsulates how much detail Capcom has packed into the remake. Capcom doesn’t merely intend to sate fans with pretty new graphics of a beloved classic. In many respects, the Resident Evil 2 Remake team has gone back to the drawing board. Controls have been vastly improved, ditching the tank mechanics many may recall from the original 1998 release. Capcom also added in expansive new story elements, which will see the narrative explored in a manner that differs from its original version. Resident Evil 2 will once again arrive on store shelves early next year on January 22, 2019.